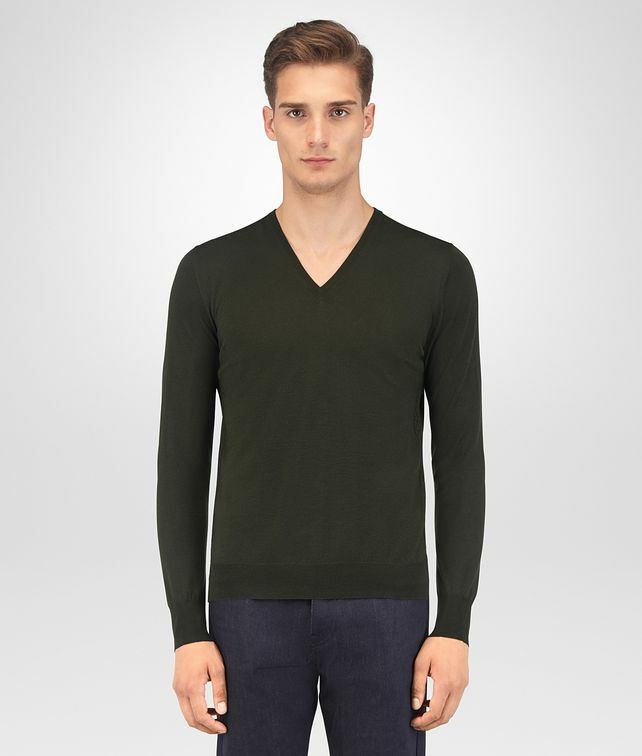 The iconic intrecciato workmanship is interpreted in a new woven texture with this V-neck pullover. The extremely light yet warm knit is made from pure Merino wool. The split-end sleeves are an unexpected twist on the effortless silhouette.